Start planning your little princess’s back to school look with our top picks! The dog days of summer are now upon us! As such, it is high time that parents gear their kids up for the back to school season. Apart from selecting fresh new outfits and fun stationary for your kids, it is also critical to start planning an innovative hairstyle for their first day back at school. This article will take a close look at the top kids hairstyles 2018, and will list our picks for the best back to school haircuts for short hair girls. A beautiful haircut is the cornerstone toward maintaining a great hairstyle. Further, it makes it easier to look more polished instantly, for any occasion. Today, we visit three amazing back to school short hairstyles for girls. Also, we will take a look at how to obtain and maintain these looks. The styles we’ve selected will make her look cute and well-put-together every day. As such, we consider them some of the top kids hairstyles 2018. So sit back and enjoy the read! Originating in the 1950’s, the Pixie Cut is still going strong! The pixie cut is still all the rage these days. The key to making the cut look outstanding is matching the angles of the cut to the shape of your daughter’s face. And the best part of the look for you? No more tangles and tedious comb-out sessions! 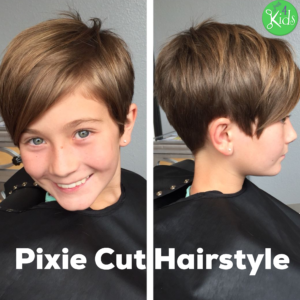 A pixie cut is a wonderful back to school hairstyle for your little girl. Although the individual style of the pixie cut varies, it generally consists of short hair on the sides and back with slightly longer hair on top of the head. The pixie cut is a variation of the crop cut. Pixie cuts range in length from a half an inch in some areas to as long as two to three inches long in others. The top benefit of the pixie cut is probably its versatility. Further, they can be worn casually or adorned a bit for more formal occasions. Filmed entirely in Italy, The 1953 smash hit “Roman Holiday” innovated the Pixie Cut and made actress Audrey Hepburn a Star. Pixie cuts first gained popularity in the 1950’s. The film “Roman Holiday” had just premiered, and became a smash. 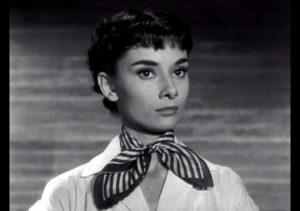 The lead role was played by up-and-coming actress Audrey Hepburn, who wore her hair short and wispy. The look swept the nation, and young women trying to emulate her began wearing their hair short as well. Due to its ease of maintaining, the pixie cut is still very popular among little girls today. The high-level structure of the pixie cut (short sides, short back, longer top) is evergreen and unchanged for 70 years. The specific style, however, requires a bit more thought. Pixie cuts look best when they complement and accentuate the natural features and shape of the face. 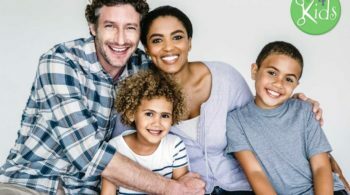 If you are unsure of which particular look to go with, your child stylist should be able to consult with you on the different options available. It’s normal to be a little nervous about getting a short haircut – especially if you or your daughter normally wear your hair long. However, by starting out with a longer version of the cut, you can minimize the fear. Also, you can always cut shorter as you go in a fashion that best fits the face and natural flow of hair. The first step in the Pixie Cut is starting with damp, clean hair that is already cut to at least shoulder length. This will simplify the styling work as shorter hair is easier to work with. Next, hair is cut at a slight angle along the nape of the neck, and refined in thin sections, no longer than the length of the first knuckle to the second knuckle of your finger. *Note – If your little one has curly hair – plan on cutting it 1 1/2 to 2 inches long. Next, hair is separated and sectioned off and separated. Also, ensure to keep the front part away from the back. **Note – A rat-tail comb can be used to create a vertical part on each side of the head, made just behind the ears. After completing this, hair is then cut in horizontal and vertical sections along the sides and back, before trimming the top. Finally, the look is completed by styling and trimming the bangs. Keep in mind there are literally hundreds of variations of this cut, as each section of hair (sides, back, top, bangs) have their own unique style choices. Check them out here. Thanks to its shortness, the pixie cut is easy to maintain! Washing and drying will be easier than ever. Styling the look, however, will be a bit more involved. Further, if your child had long hair previously, it will take some getting used to. Patience is a virtue, and you will get the hang of it in no time. Just be sure to have some balm or pomade handy to help contour the look to your daughter’s face. Speaking of, now that there are no long tresses to hide behind, all attention will now be on your little princess’s beautiful face! Nothing “CUTE-ifies” a little girl’s face quite like a nice set of bangs! 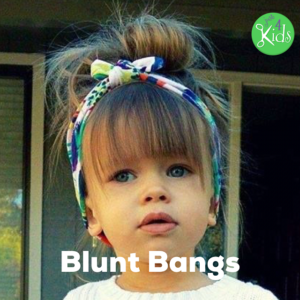 Little girls look absolutely beautiful sporting blunt bangs everywhere they go. 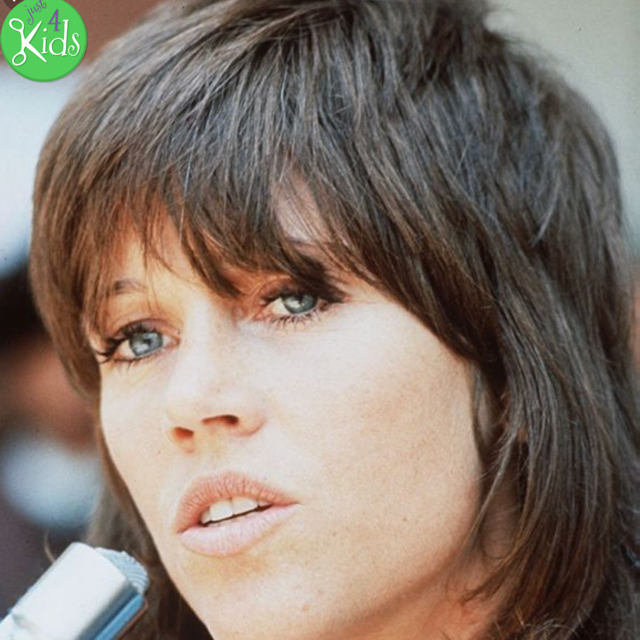 Bangs that are cut straight on the forehead without adding any texture or volume are known as blunt bangs. They are perfect for girls with a prominent forehead. 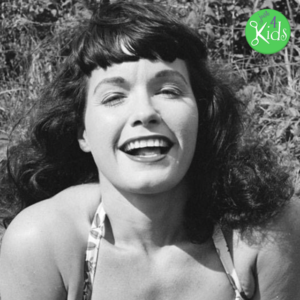 Pinup Queen Bettie Page rocked (among other things) a serious set of cropped bangs! Bangs started gaining popularity in the 1950’s when glamorous models started sporting different kinds of bangs on the screen. The look simply adds innocence to the face while perfectly framing the forehead. Gather hair from the crown to form a triangle shape with the front frame of the face. Measure the length of the bangs which, ideally, is to the eyebrows. Cut the bangs in a smooth and straight line. Presto! You are done. Blunt bangs are the easiest to maintain. 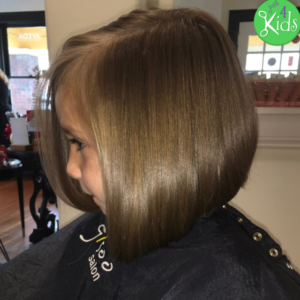 You will simply need to make periodic appointments at the child salon for your daughter from some routine bang trim maintenance. 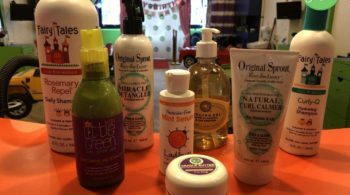 If your child has curly hair, it will need to be slightly more often. Other than that, it is a very low maintenance hairstyle. Can these loose pigtails possibly get any more adorable? Loose pigtails are the ultimate school girl hairstyle that you can never go wrong with. Simple yet functional, we easily consider loose pigtails one of the best back to school haircuts for short hair girls in the game today! This is a sweet hairstyle that makes sure you have no stray hair on your face without making your hair look flat. With this timeless look, your daughter can always look polished within a few seconds. Pigtails look even more adorable when done on short hair. 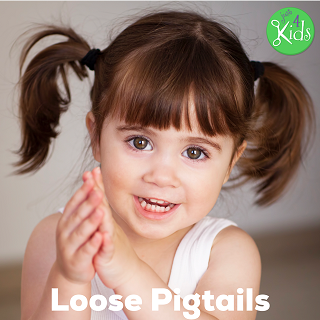 Loose pigtails are one of the top kids hairstyles 2018. Aside from that, it is said that pigtails have been around since the earliest times of hair styling! Females used to braid their hair loosely into pigtails for the purpose of protecting it while also keeping it out of their face. The end result is a super-cute look and perfect (as far as your eyesight will take you 🙂 ) vision. Part the hair from the middle and comb each side thoroughly. Tie both sides into a simple loose braid while tugging on the sections as you go to create some volume. Tie the braids with hair elastics and wrap a section of the hair around the elastic band. Pull out a few strands of hair from the front and you are done. Maintaining loose pigtails are a cinch. Aside from utilizing best practices for maintaining shiny and beautiful hair, styling the look is incredibly easy! Simply smooth out the “fly-aways” using hair wax or dry oil to achieve a smooth braid on both sides of the head. Also, if your daughter has layered hair then pin the strays with a bobby pin. Choppy Layers make a bold statement with very little work! 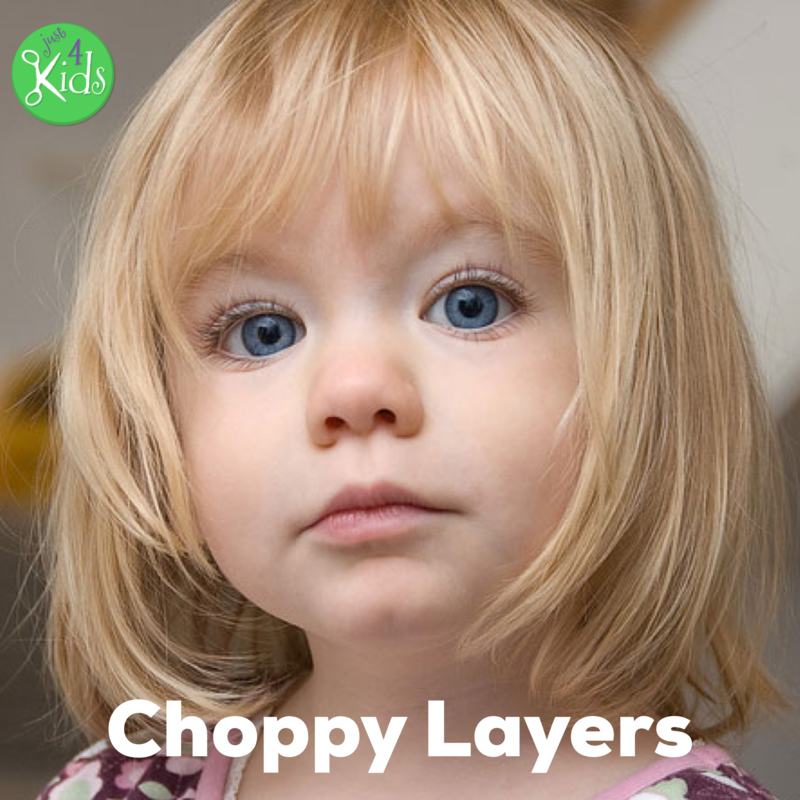 Choppy Layers can make your princess look stylish and on-point with the least effort possible. Choppy layers are created by strategically cutting small, medium and large chunks of your hair from each layer. The result is to show hair strands of varying lengths in concert with one another, revealing an urbane and sophisticated style. Choppy layers are incredibly trendy and are creating a bold move in the hair industry. The aesthetics of this look gives the appearance of immense volume. Jane Fonda and her choppy layers flat-out owned the 1970’s. Choppy layers became all the rage starting in the 1970’s. Wispy and choppy layers were the most wanted kind of style in that era. Further, it helped females achieve a good amount of texture and volume. In the present day, the angles and lengths of the layers have been refined to add an air of class and sophistication. Further, additional styling techniques may be incorporated into the choppy layer hairstyle. These include one and two-side fades and hard parts. This has given girls an added “edginess” and ferocity to their look. For examples, you can look no further than several female UFC fighters who sport this style both in and out of the ring. Girls with short hair can have two to three layers in their hair. Next, the stylist proceeds to expertly cut off large chunks of hair to form each layer. This will create an overall beautiful texture. 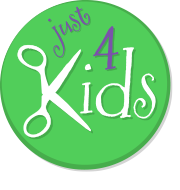 It is essential to choose a highly skilled barber or stylist who specializes in children. They will be able to get the very most out of this look. Choppy layers are considered an intermediate to an advanced hairstyle. Further, this should be taken into account when selecting the individual to create your daughter’s look. Children’s stylists are also best for this work! Further, they are most qualified to work with young people who don’t sit completely still. An art for consistently hitting “moving targets” is essential! 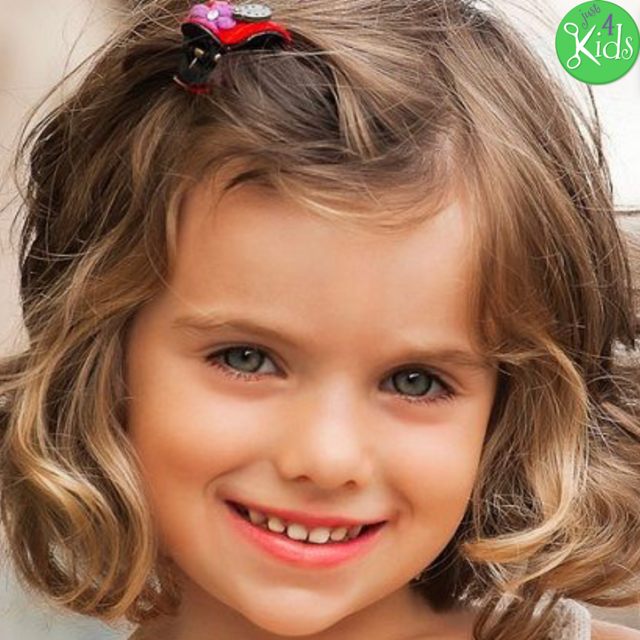 Wash your little girl’s hair and let it air dry for a natural texture. Next, use a blow dryer and round brush. This will give her choppy layers a soft effect. Finally, style with some balm or gel (depending on her hair type). Just be sure to maintain the volume. 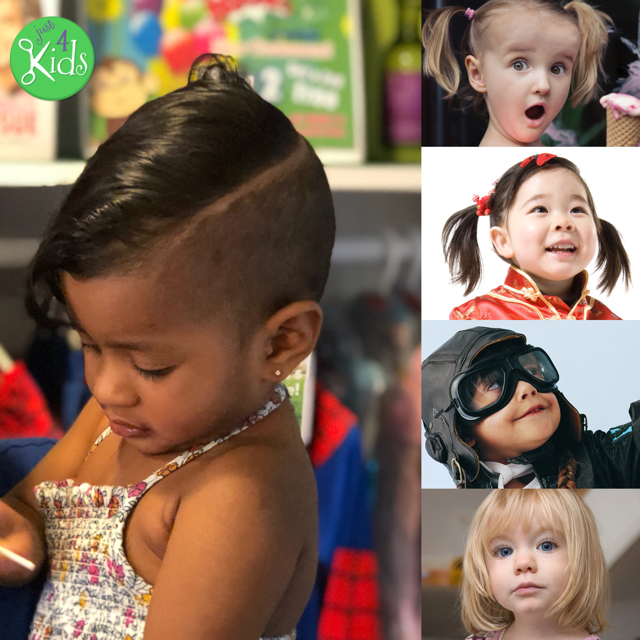 It was incredibly difficult narrowing down the field in this year’s edition of Top Kids Hairstyles 2018 – Best Back to school haircuts for short hair girls. For those that didn’t make the final cut, don’t worry! You still have a special place in our heart. See below. The straight bob is one of the more intricate hairstyles to achieve in the salon, but it’s super cute! The Asymmetrical Lob cut is a really cool look and just missed the cut. 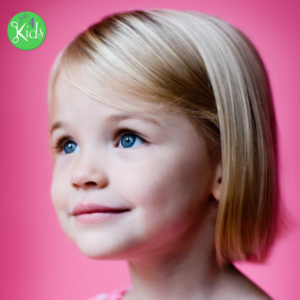 We love the Angled Lob cut on little girls, and you will too! The Short & Wavy is a gorgeous and healthy hairstyle. If your little girl has curls or waves, check out our upcoming article on the best back to school hairstyles for girls with curly hair! 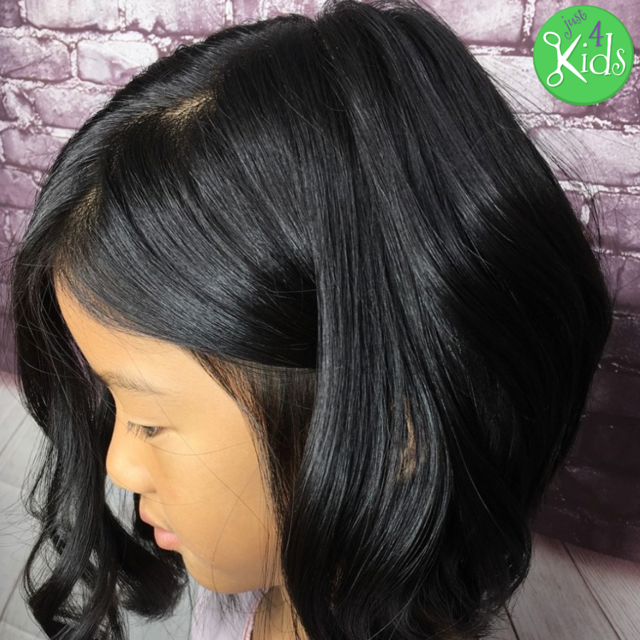 Thanks for checking out our article “Top Kids Hairstyles 2018 – Best Back to School Haircuts for Short Hair Girls.” We hope you enjoyed it, and feel free to leave comments! We would also love it if you would check out our other helpful articles here. Linked In Page – Linked In is our professional page where we do a good bit of recruiting. As such, we are always looking for the best talent in the market. Further, our Linked In page shows some good insight into our company culture. Also, it provides valuable information about who we are as an organization and various hairstyle and hair care articles that we contribute to. Finally, Link us today! Instagram Page – Instagram is a great place to get interesting and local flair content from us. This includes incredible local photography. It highlights the best Hoboken and our salon has to offer. In addition, we provide interesting weather updates. Also, of course, great photos of short haircuts for boys. We also take great pics of our birthday parties. So, what are you waiting for? Finally, be sure to follow us on it! Thanks again for checking out our article. 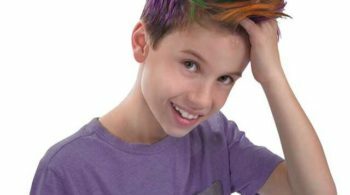 “Top Kids Hairstyles 2018 – Best Back to School Haircuts for Short Hair Girls.” If you happen to also have a son – please check out our other blogs on boys with long hair and short hair, as well as our blog on the best kids hair products! If you would like to learn more about our salon, or are interested in seeing our list of salon and spa birthday parties for your little princess, check them out here! We hope the article was very informative for you! Call today to book an appointment! Our number is (201) 653-KUTS (5887). You can also book an appointment directly on our website by clicking “Book an Appointment”. If you need more help – here is our menu.